Would you use FTP Voyager if you could afford it? 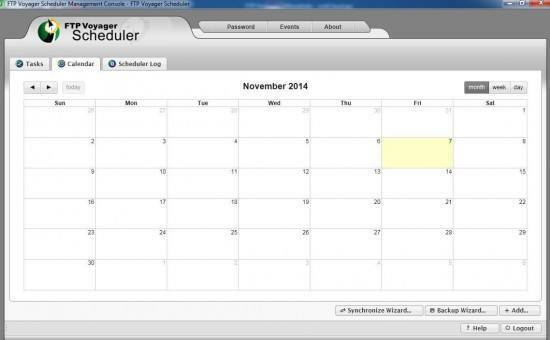 Solarwinds set FTP Voyager free, Solarwinds is known to give back free tools to IT community. FTP Voyager is designed in Office 2007 style with ribbon and bug buttons. For people who work mostly on Windows and got used to new interface will enjoy working with a great FTP Client. You can have a two pane mode where you see local disk on left side and remote disk on the right side. You can change sides if you prefer to see remote disk on the left side. 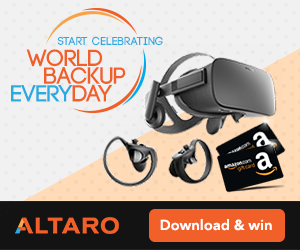 You can have multiple connections open at the same time, Voyager will open another tab on remote side and you can quickly move from one remote server to another. Program is responsive and FTP/SFTP transfers are really fast and reliable. But in addition to classic FTP client functionality it has some additional functions that can really help you with your work. 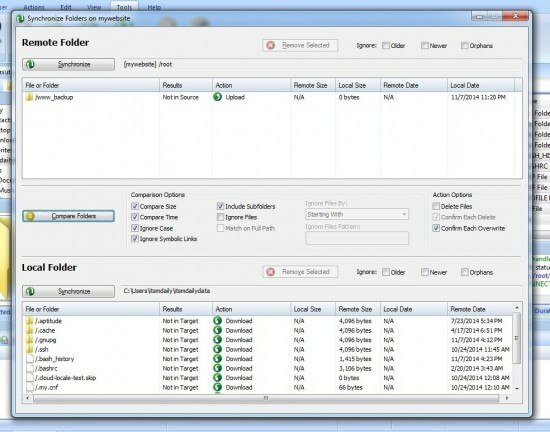 If you need to synchronize local and remote folders, you can do so easily. 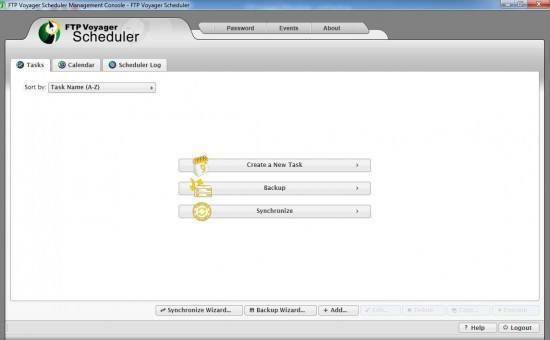 Solarwinds Voyager features Synchronize folders tool where you can set which folders to synchronize. 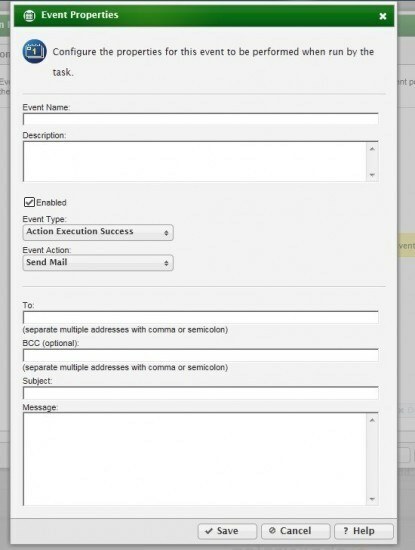 You can configure file deletion and overwrite confirmation. Synchronization can be really useful sometimes. 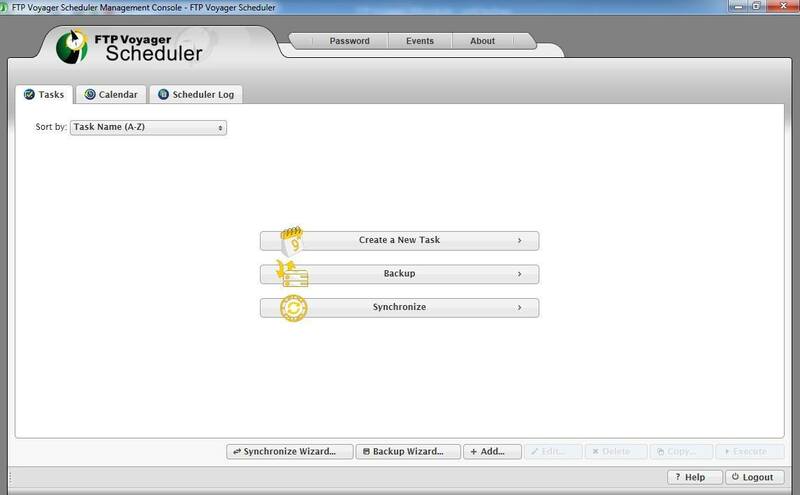 Scheduler is unique to Voygaer. You can do amazing things with scheduler. 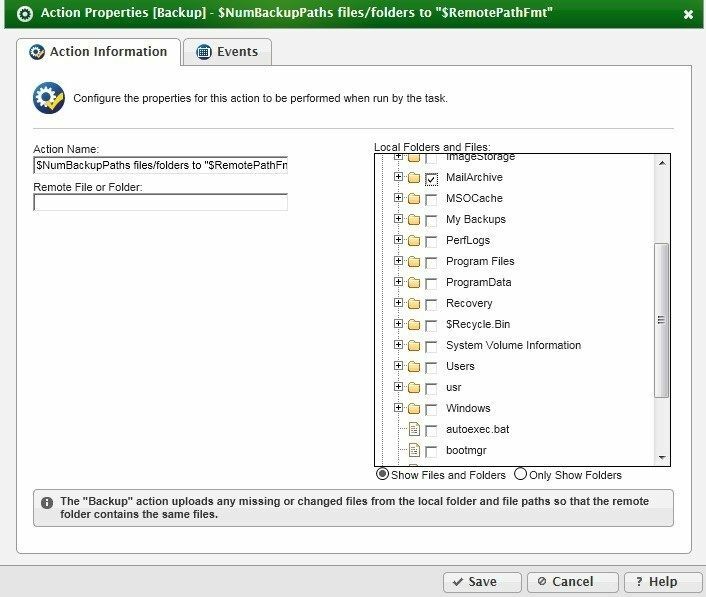 You can schedule a backup of local files/folders to remote host. Or you can schedule FTP download for particular folder on remote server to local drive. 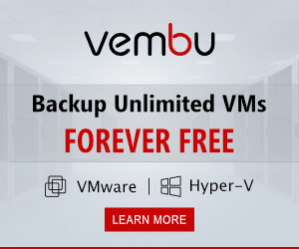 This can be useful for website backup or backup of files that were uploaded to remote server. 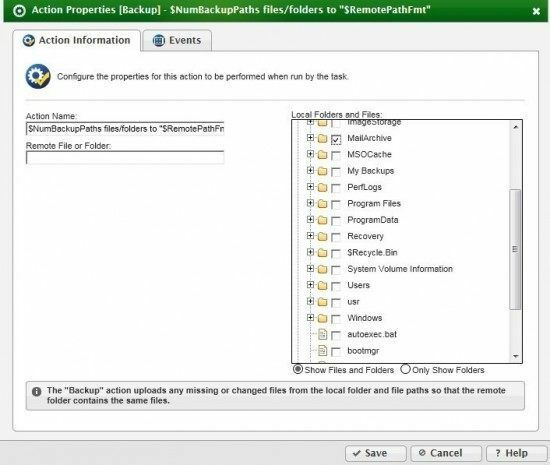 You can easily select local folder that requires a backup to remote folder. To make backup or transfer more reliable you can schedule an Event. You can set up email notification so that you know that backup via FTP/SFTP was completed. To set up remote folder transfer you can use the same easy configuration. You also set up Schedule, Log Settings and Actions. Actions can do many wonderful actions. You can shut down a computer or run external programs and batch files after transfer is complete. Scheduler wouldn’t be a scheduler if it would provide calendar where you have complete overview of all the scheduled tasks. This is really useful when you have multiple serves and you have to keep track of what’s happening. You can also use FTP Voyager scheduler with command line. 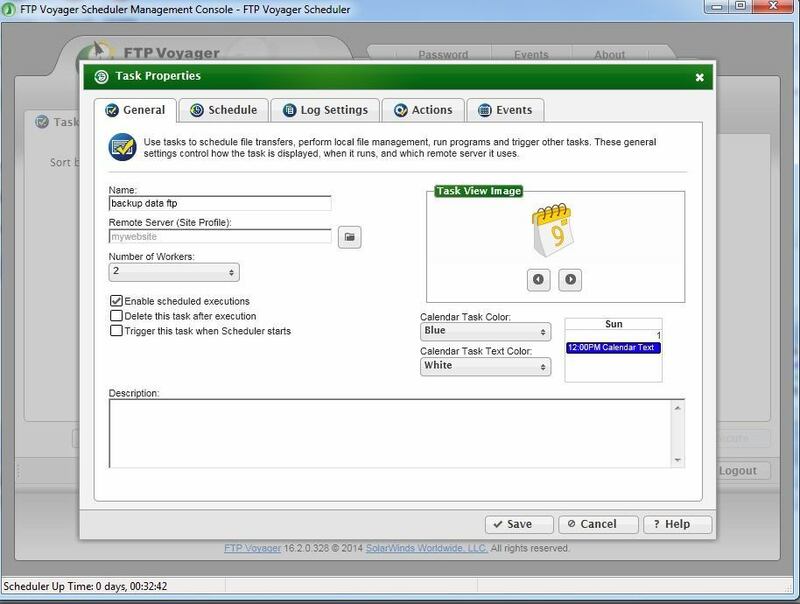 You can easily write batch files and execute scheduled tasks in FTP Voyager Scheduler. -runfromstartup it is used to start Scheduler in startup menu or with windows startup process. Because it is a rock solid product, does blazingly fast transfers and is stable in all operations. It’s also easy to use for beginners and power users can use advanced features to make tasks easier and faster. Looks and feels like Windows Explorer and Microsoft Office. You can quickly connect to any FTP, FTPS or SFTP server with the use of Connection manger. Wizards for beginners to make it easier for beginners. Synchronization, Automation, and last, Price which is Free.